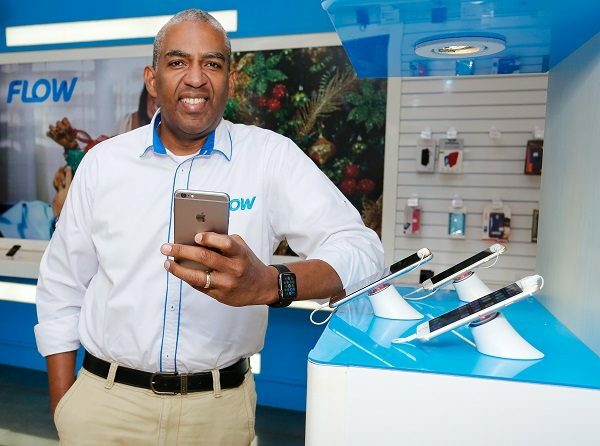 “Talk until you’re tired,” says Dwight Williams, Senior Director, Product Management at Flow Jamaica as he announced the company’s newest offer for prepaid mobile customers in Jamaica. Starting October 26, Flow customers will be able to access unlimited calling to any network in Jamaica along with unlimited messaging using the popular social platform WhatsApp through four new attractive plans being launched by the company. The new Flow UNLIMITED TALK combo plans offer affordable options ranging from 7 days to 30 days and bundle allocations of additional data from 350MB to 3GB for other Apps and internet browsing. Based on their individual budgets and preferences, Flow customers will be able to access these benefits for as low as $650 for a 7-day plan, $1,150 for a 14-day plan or $2000 for a 30-day plan. With the new UNLIMITED TALK Plan, customers can also ‘boost up’ with an additional 1GB of data for only $100 per day for even more value. Williams highlighted that “the Jamaican mobile market remains very talk centric despite the growing appetite for mobile data. The new UNLIMITED TALK combo plans will join the company’s hugely popular Gig Up mobile data combo plans which remain available for heavy data users. “We have now removed all barriers by eliminating the need to constantly purchase call minutes and by offering the most attractive mobile data options on the market. We believe this is the perfect opportunity for customers to satisfy their varying communication needs regardless of which network they are calling when they switch to Flow,” Williams added. To activate the new plan, Flow customers simply need to dial *129*6#. “At Flow, we are constantly scanning the market, looking at the trends and responding to needs of our customers. Being able to stay connected is no longer a “luxury”, it’s a necessity and we are making it much easier and certainly more affordable,” Williams said in closing. Over the next eight weeks, the company will be offering attractive deals on devices for persons wishing to make the switch to Flow while still retaining their mobile number. Flow has also promised exciting news for post-paid mobile customers ahead of the busy Christmas season.